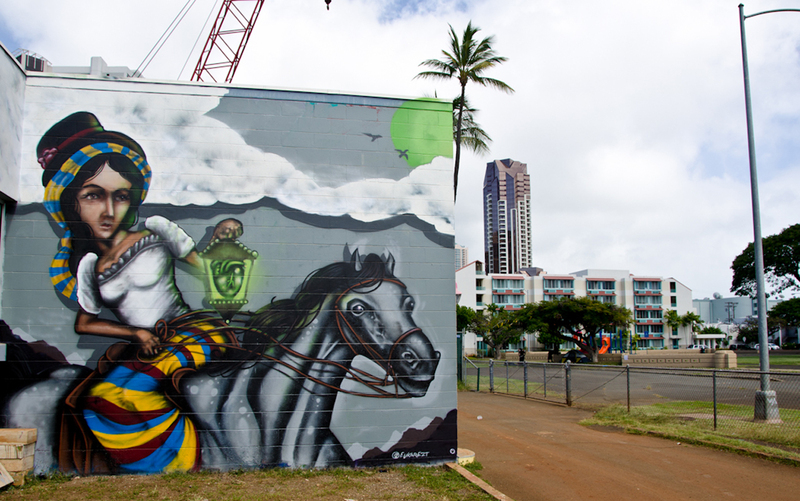 Local artist Eukarezt brings the heat with his mural at POW! WOW! Hawaii 2013. Located at the Friends of the Library building on Pohukaina street.